Well where to begin?!?! The answer to that question is two fold. At the beginning of February I was headed in the right direction. I was energetic, driven and ready to continue and take my marathon training to the next level. Now I sit here trying to determine where all that when South. February brought on many challenges, some old daily life challenges and some new challenges I am unfamiliar with…injury. Around the middle of February I was stricken with a lower back injury and I am not really quite sure how it all came about. Maybe it was the increase in mileage. Maybe it was running form. Maybe it is old age. Whatever the cause it has left me counting down the days until I am healed fully and back to 100%. The beginning of February started off with a bang as I mentioned above. I was increasing my mileage and my tempo workouts were amazing. I felt as if I was getting faster and able to sustain that pace for longer distances. I completed my longest run of 2017, with a 14 mile run at a 7:50/mi pace. Up through 2/15/17 I logged 62.41 miles then the unthinkable happened. In the latter half of the month I have tried to remain positive with and remain active as much as the back will let me. The doctor didn’t provide me much of an outlook outside of resting and letting my body tell me when to start training again. Not the words I was hoping to hear. Fast forward 13 days where I took to the trails for the first time since my injury. The 4.1 mile run felt great, until the last 0.5 miles where the tightness started. Another setback in my training and another trip to the doctor. Today I felt a tad better which is a positive sign. In the meantime I have been passing the time listening to podcasts (BibRave & The Hackers Paradise) and taken up reading about running. Yep if you can’t run you might as well read other stories about it. My first book is “My Life on the Run” about Bart Yasso. Talk about an enjoying read! So to finish this off the days are flying by and I will hopefully be able to run my first races as a BibRavePro. First up will be the Glass City Half Marathon, where I will be running 13.1 miles through the city of Toledo. The following weekend will be the FootBall Hall of Fame Marathon, a non BibRave race. To round off the spring I will be traveling up to the city of Buffalo to run in the Buffalo Marathon. Will I be ready? I sure will keep driving to make sure I give 110% in these races. 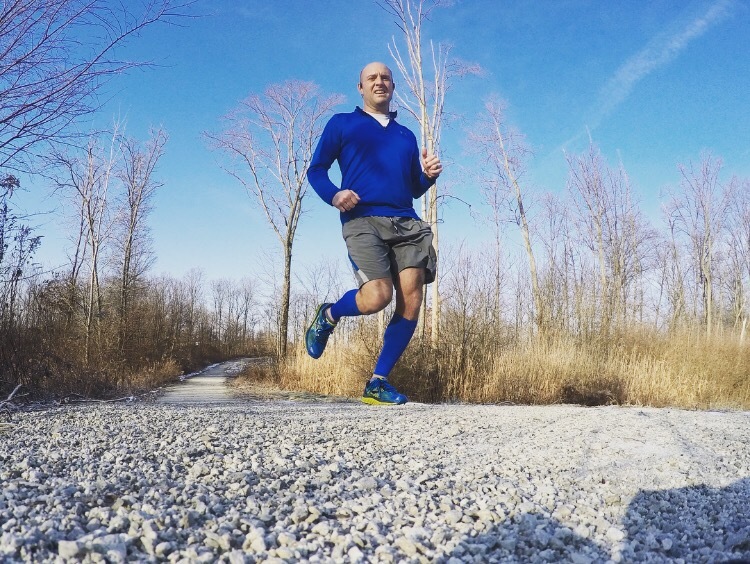 “Disclaimer: I received entry into the Glass City Marathon & Buffalo Marathon to review as part of being a BibRave Pro. Learn more about becoming a BibRave Pro (ambassador), and check out BibRave.com to review find and write race reviews!